As long as this cold weather lasts, we can’t go hiking. Could you please tell us why you like climbing? 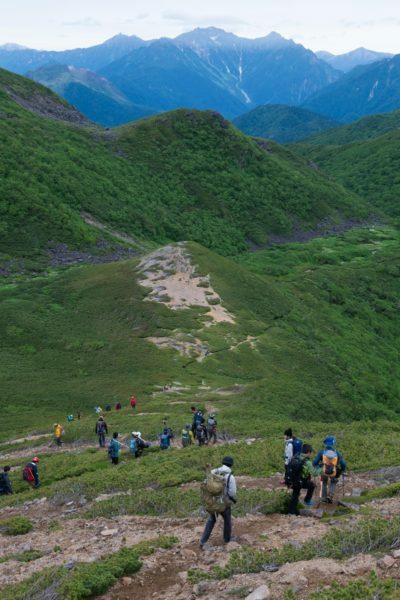 Children can gain a wide knowledge of things living in the mountains while hiking. Do not try to clime a mountain alone. For you, climbing mountains is a way to recognize your limits of potential. Gasping for breath, I headed for the peak. It is important for first-time hikers to understand basic safety rules. Mountain climbing can be dangerous. Reaching the top of the mountain is a thrilling experience. The urge to conquer high places makes many people take chances. They thought it dangerous climbing that mountain in winter. When I was hiking up the mountain, I came upon a bear in a clearing. I did not let my son go for fear of an accident on the mountain paths. While climbing a mountain, you can fully appreciate natural beauty. You have to be ready for unexpected circumstances that may occur in the mountains.